I have always been a to-do list kind of person. In college, whenever I felt overwhelmed with piles of reading, group projects, or extra-curricular commitments, out came a piece of paper and a pen. And for my first few expat weeks in France, to-do lists kept me afloat in the deep, dark waters of French bureaucracy. From the excruciating visa process to the ordeal of setting up a library card, bank account, and cell phone, lists were aplenty and the gratification of crossing tasks off, immeasurable. Take THAT, France, I would mumble as my list gradually shortened. I felt productive. I was doing things. But when what I once thought was a never-ending list ended, things changed. I told myself to bask in being rather than doing. I told myself the hour-long lunches and whole afternoons spent lazing away at the neighborhood café were okay. It was just the French joie de vivre rubbing off on me. But still, I couldn’t shake the feeling of self-indulgent guilt. My friends would tell me over FaceTime about their sufficiently caffeinated, over-worked post-grad lives — something that society has come to deem as the proper return on a $240,000+ college investment. And I would nod, pretending to empathize when really my life teaching English and maybe picking up a tutoring gig here and there was the furthest thing from a day-in-day-out hustle. Simultaneously ashamed of how fundamentally wrong this felt and acutely aware of the privilege that it all stemmed from, I said nothing. Instead, small victories became the benchmarks for a productive day — a coherent, flowing conversation in French, a successful trip to the market, cooking a really, really good dinner for myself, or reading a chapter of my French book without relying on Google translate. My post-grad stint abroad felt like one big exhale after four years of college, and I actively willed myself every single day to find peace in that — to not harbor worries that I was somehow “falling behind” personally, professionally, and financially. But I’m back in the states now, and the to-do list has returned with a vengeance. 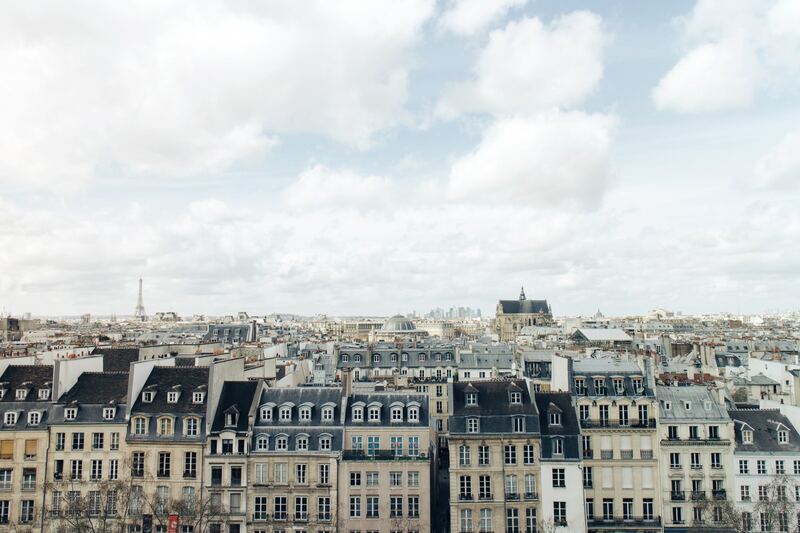 Hustle feels like the verb du jour for me, as it likely does for most professionally-minded millennials in Manhattan, and I have to remind myself that my life in France was real. I did that. I lived that. I can’t complain, though, because isn’t this what I wanted all along? Isn’t this what I envisioned for myself, what I set out to accomplish the second I landed stateside? Call it what you may — nostalgia, sentimentality, or a cliché case of the grass is always greener on the other side — but I’ve come to realize that the onus is on me to carve out moments of calm. That having a job and living in Manhattan don’t come close to justifying this relentless, go-go-go mentality that leaves little room for mental and physical repose. That maybe, just maybe, the French are on to something, and that the definition for what constitutes a “productive” day isn’t actually a definition at all. Jacqueline is an NYC–based food and travel writer with an appetite for all things French. In her spare time, she can be found foraging through a farmers market, experimenting with a new recipe (read: making a complete mess of her kitchen), or wandering the streets of the Big Apple. Give her a piping hot cup of chamomile tea, a good book, and her dog, and she's a happy gal.